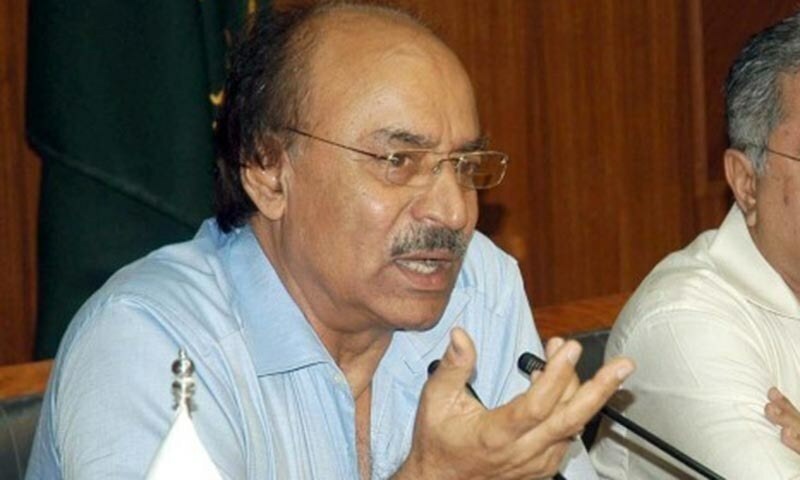 LARKANA: Sindh Senior Minister for Education Nisar Ahmed Khuhro has said that the provincial government is determined to revise and update the curriculum, which is key to the achievement of the high standard of education. Speaking at a press conference in the local press club on Sunday, Mr Khuhro said the curriculum up to class six was planned to be revisited and changed in the year 2002 and again in 2006 but it could be done only in 2013. “We have not stopped our efforts here. The process of studying and evaluating the rest of the curriculum is under way,” he said. In reply to a question about rampant cheating in the ongoing secondary and higher secondary examinations in Sindh, the minister said a policy was evolved and implemented after exhausting consultations with all stakeholders to check the trend but the desired results could not be achieved. Under the policy, heads of education boards and deputy commissioners were given a freehand to take effective steps in this regard, he said. “More coordinated efforts are needed to make all stakeholders feel responsibilities towards discouraging the copy culture,” he added. Mr Khuhuro told journalists that around 2,000 more head masters were being recruited as donor agencies were keenly interested in improving the teaching standards. 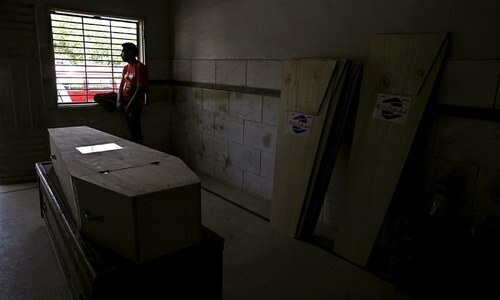 He said 110 schools badly damaged by floods were being rebuilt by the USAID. He said 1,500 campus schools would also be established to impart early childhood education to children in the age bracket of three to 12 years. Furthermore, 25 English medium schools would be established, he added. Regarding absence of basic facilities at schools, he said initially 2,000 schools had been identified in this regard and the work to ensure provision of all essential facilities to the institutions would start in the third week of this month. In reply to a question about millennium development goals, Mr Khuhro argued that as against 4 per cent of GDP required to be earmarked for education, only 2.01 per cent was being spared. Currently, four million children in Sindh were getting education but the same number was out of schools which summoned relentless efforts and concrete measures to address the sensitive issue, the minister said. “We are chalking out a plan under which students would be engaged to teach other students to follow the vision of ‘each one, teach one’. This will help us succeed in educating at least 500,000 children,” he said. Mr Khuhuro said the government was spending Rs110 billion under the head of salaries for around 2.5 million teachers and other staff of the education department. Only Rs15 billion was being spent on development schemes, he added. Earlier, the education minister visited Larkana dharamshala and distributed 30 cheques of Rs5,000 each among deserving men and women belonging to the Hindu community. Students of the Cadet College Larkana have contributed a lot in national institutions and played their role in defending country’s frontiers. This was stated by Sukkur region NAB Director General Muhammed Altaf Bhawani at a function held to bid farewell to the 19th outgoing batch of cadets on Saturday at the college. Wishing the outgoing cadets best, college Principal Lt Col (Retd) Iftikhar Hussain said they could defend the country very well. Their performance in the Army, Air Force, Navy, police and civil services had remained remarkable and outstanding, he said. He said the college had emerged as one of the elite institutions of the country which was setting a trend of better education. Qambar-Shahdadkot Deputy Commissioner Capt Anwarul Haq also spoke on the occasion and appreciated cadets’ performance and hard working. Earlier, Vice Principal Sikandar Ali Channa welcomed the guests. Try to raise the standard of education with the current curriculum first instead of slogans for change in curriculum. The standard of education in Sindh is pathetic and maximum students resort to cheating in examinations to pass. Even parents and examiners become party to cheating !!!!! Whenever there is a new minister for education, he revise the curriculum. Please leave the curriculum as it is and supply the proper school buildings and furnitures to the students over the country.